With Hallowe'en nearly upon us, many of us think of getting the kids dressed up and bringing them out Trick or Treating… or we just forget the kids and just do it ourselves! But if you wanted to just skip the need to go to your neighbours houses for an overdose of sugar, and be able to bring in more customers to pay for a huge stash or chocolate that you could just order on Amazon and have delivered to your house instead (or just go and buy it at the local supermarket!) then you can use “Tentpole” events like this, and other holidays to give a boost to your bank account and bottom line. Tentpole events are events that have a lot of buzz around them and there is a lot of interest and searches based around that topic for a specific period of time. One off events are usually movie releases (like James Bond's Spectre and Star Wars VII coming out soon) and create a lot of buzz around them. Recurring events are like Halloween, Christmas, Easter, St. Patrick's Day (being Irish had to get that one in there! ), etc. With the one off events, you know a few months in advance things are going to happen so you can plan for them. 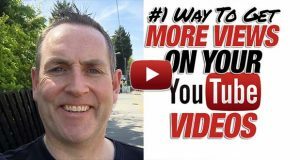 In today's video I go through 5 tips to use Tentpole Events in your business to get more views on YouTube and drive move traffic into your business. Some other one off events can happen by surprise, like a natural disaster or such things. These you won't have a marketing campaign based around. 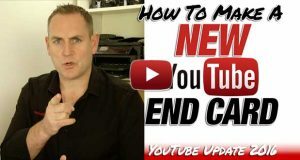 The likes of Stock Market Crashes or Dives or the latest update on Google or YouTube that springs up can all be used, as long as we can act quickly enough to take advantage of it. I remember is very well. There was outrage in the community and hundreds of thousands of YouTubers wanted a way out. It happened on a Thursday night/Friday morning and I was adamant not to do a video until my normal Tuesday upload. The event was telling me to do a video, but I didn't want to go off my normal schedule. 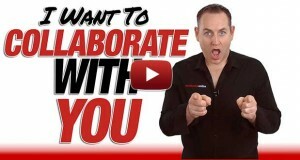 I eventually gave in and on Saturday I shot and uploaded a video on how you could disconnect Google+ from your YouTube Channel. It got over 10,000 views by Monday morning, and was up to over 75,000 by the end of the week! The video was over 9 minutes long and people were LOVING it. I walked them through the exact steps they needed to take to remove Google+ from their Channels and they were sharing it like crazy. Looking back, how much more traffic would I have gotten if I had released it on Friday morning when it happened? Probably another 20k-50k! So lesson definitely learned there. Feel free to use Tentpole events in your marketing. You have a holiday or celebration of some kind each and every month now that you can take advantage of. You can even use your own birthday and the birthdays of your kids if you wanted to… Everything's possible, it's down to your imagination and how you want to use it. Let me know any questions or comments you have in the comments area below!